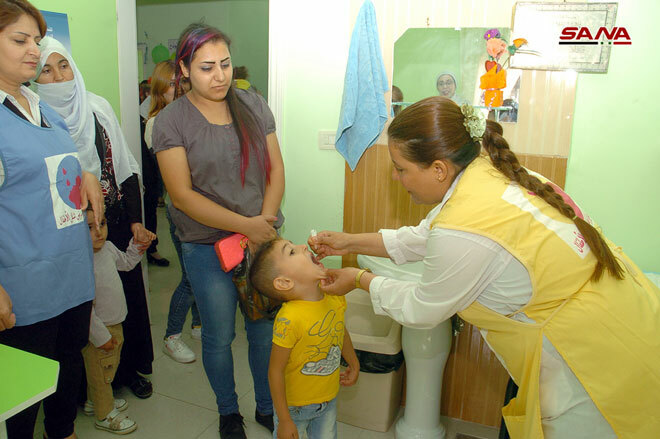 Damascus, SANA – Second national polio vaccination campaign for 2018 targets around 2.97 million under five children from nationwide regardless to their previous vaccinations, Health Ministry said on Sunday. 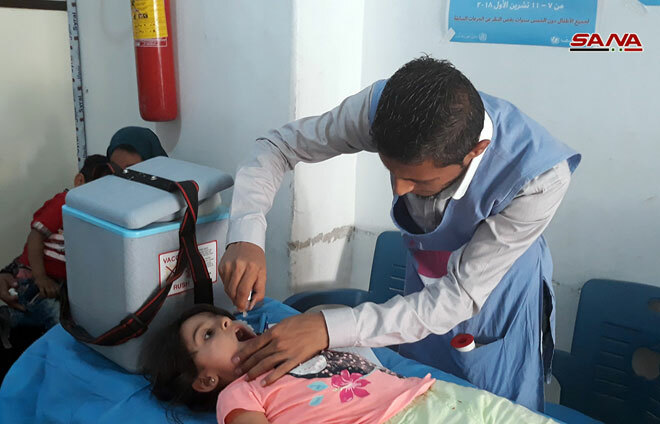 All logistic and technical preparations have been taken to guarantee the coverage of the immunization campaign-continuous until 11th of the current month- to the targeted children via health centers, mobile teams, in kindergartens and at makeshift centers for those who had been displaced from their areas. 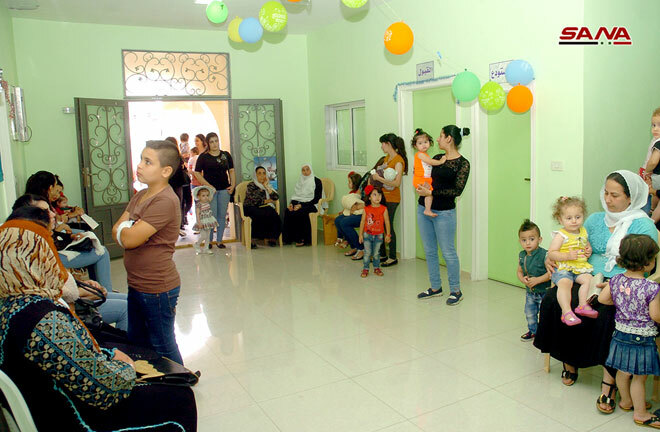 Besides the health centers services, the campaign is carried out by 1500 mobile teams consisting of 9500 health workers. 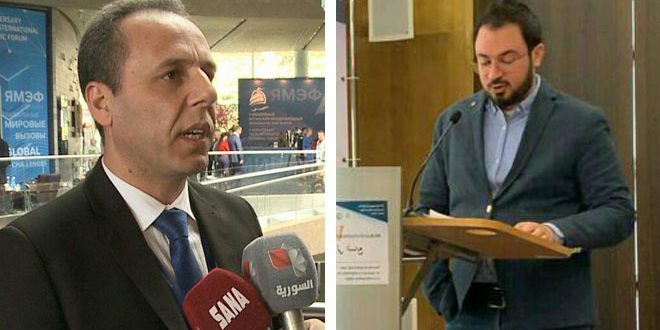 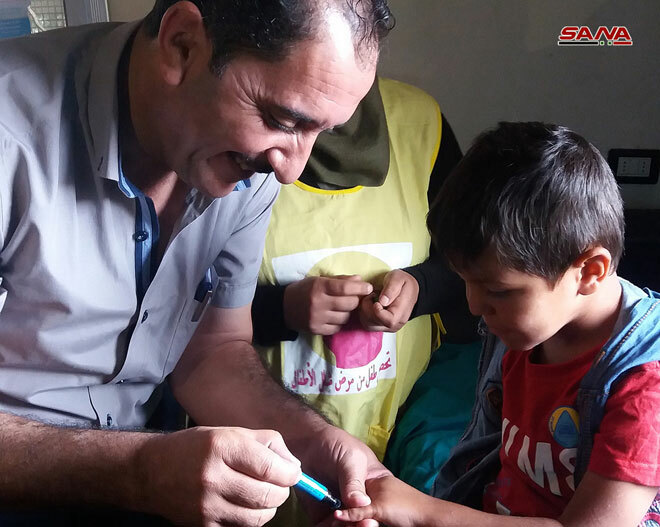 In the city of Damascus, Head of Public Health Programs at Damascus Health Directorate, Dr. Imad Jamil clarified that the campaign targets 298 thousand children in the Capital via 39 health centers, 183 mobile teams, and 300 kindergartens carried out by 700 health workers. 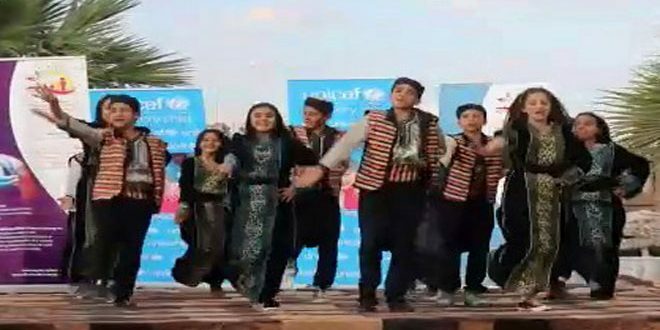 “The mobile teams are going to move from house to another in order to guarantee the full coverage to all children,” Jamil said, urging parents to respond to the campaign being launched for ensuring immunization to children. 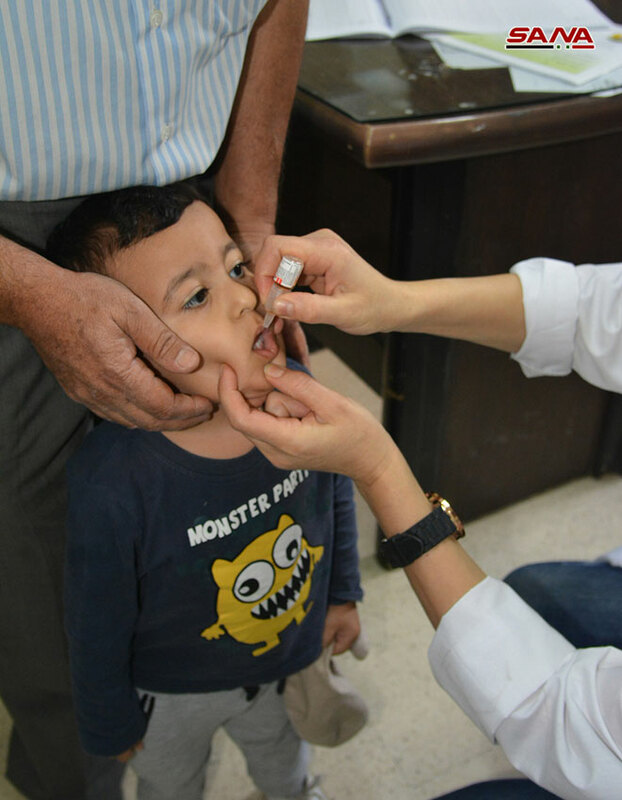 “Common illnesses such as cold, flu and diarrhea or taking medicines are not barriers against vaccination,” he added. 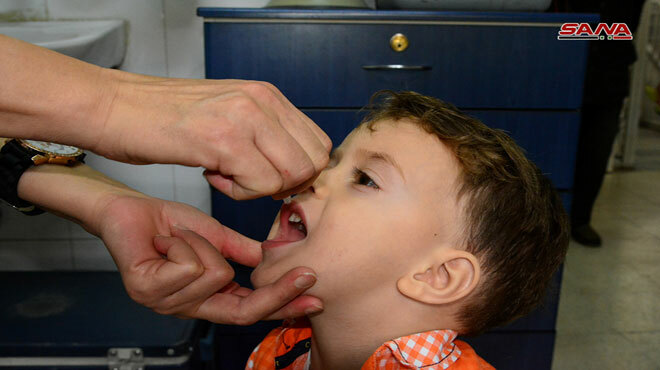 In Damascus Countryside Province, Head of Public Health Department at the Province Directorate, Dr. Suhair Joma said that 351 thousand children are targeted in the current campaign through 120 health centers and 398 mobile teams by 1340 health workers. “We have spread posters and circulated booklets about the polio vaccination as part of the campaign prior to its launch. 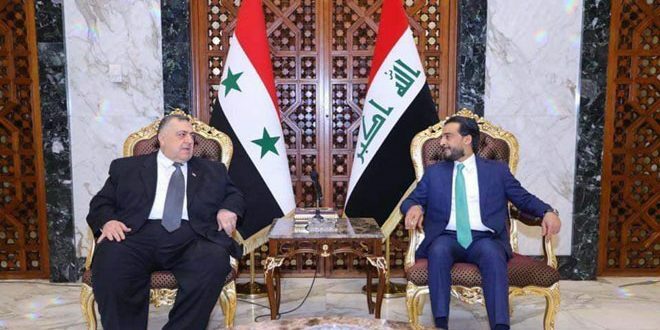 We have also trained the health workers in the liberated areas too,” Joma added. 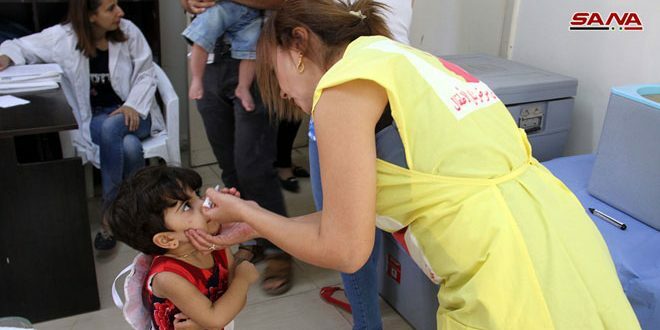 The national polio campaign is the second for this year as the first one was launched last March as part of a series carried out by the Ministry since 2013 where several infections were recorded of the wild poliovirus of Pakistani origin carried by terrorist groups to Syria after being declared free from the disease since 1995.